They accept black and white coupons printed off the internet, but you must leave the page whole as it is printed from the website so the cashier will know it is not a copy. The barcode must be clear and scannable. 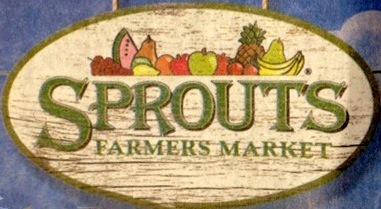 Join the Sprouts mailing list to get coupons and e-news updates via email. Go to www.sprouts.com and click on the “Get E-NEWS” and fill out the form. Sprouts does not limit the number of coupons per transaction. They do not double or triple coupons. Sprouts coupons cannot be combined with a manufacturer’s coupon, or any other offers. When purchasing a single item, Sprouts accepts one manufacturer coupon. Only one coupon can be used against the items being purchased. Sprouts does not have a loyalty card program. Sprouts publishes a weekly sales ad every Wednesday. The sale items are valid from Wednesday to Wednesday. Read about the “Double Ad Wednesday” promo.